Inner Awakening Marix Retonemnts retone your essence to the gift that you are. You matter. You count. You have come to Earth to share your love and light. Share your talent, gifts and abilities. Share your Authentic Love--who you really are. You will shine the brightest when you live from your heart. 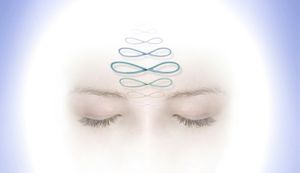 The retonements of the Inner Awakening Matrix are tools given to help facilitate this REMEMBRANCE. What are the Retonements? The retonements are tools given to tone us back into the Gift we are to Humanity. They align our frequencies and support the foundation of the Sacred lightbody. 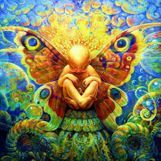 We are returning to the time of the sacred...a time of awakening all that is within our cellular memory, to once again trust and embrace life, honor our spirit, and give voice to our own unique expression. The Retonemnts are tools that empower us to integrate and reclaim the Feminine Christ energy, bringing ourselves into full and complete balance with the Sacred Masculine . This offering gives capability of living in the Fifth Dimension energy frequencies in a balanced and creative way. What do the retonements do? Retuning your ESSENCE is very much like rebooting your computer. When you upload a new computer program you have to turn off your computer and start up again so that the new program will work appropriately. That accurately emphasizes what's going to transpire with you in this gateway. Once rebooted, the old programs systems and expressions will no longer work suitably. So if you're finding that certain areas of your life are not flowing or manifesting in the way they should, maybe this is the universe saying that it is an old outdated program, and it is time to delete it from your consciousness.This is what you might call the shift to the ages. You have pushed the evolution envelope by your strong will, tenacity and strong intense spiritual focus. You know your enlighten self and won’t hear yourself thinking that you are less than a lighted master. You are the first human beings in a dualistic 3-D reality that has been able to push the envelope, be open to the fact that what lies ahead of you in the very near future is wildly astonishing, beautiful, wonderful, peaceful, and harmonious, and a place you remember deep inside as home. Why will it be this way you ask? Because you not only wanted this new reality, and believed it was possible, and now beginning to act as if this amazing new future is already here. When you do act as if, you quit being an initiate, and step into the role of the living master. Do you lack money or success? Combining this release with the Awakening of the Success Codes brings you into alignment with your divine blueprint of your unlimited and unbound potential. The Success Codes are within a latent matrix of energy that will be activated after the old restrictions are removed and released.